So last week one door closed ready for another one to open. The past couple of months haven't been the best and it's times like these where you realise who your true friends are. They are the ones who you can turn to and chat about most things too, you can vent to about anything and everything, and will send you random replies and words of wisdom to make you smile when you're feeling down ("just keep telling yourself prison cell grey doesn't suit me"). And I have to say I'm lucky, or mad enough, to have a group of friends who do exactly that! Soppy stuff over back to the scrapping lol! At the start of the month I set myself and Gemma a challenge to use this sketch with the added twist of having to use brads after "rediscovering" mine during a tidy up! 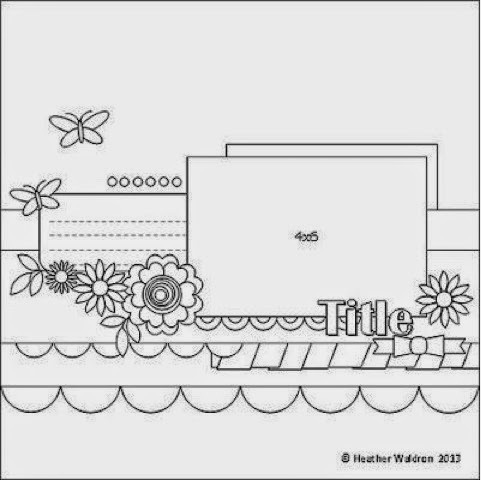 I recently purchased some papers from Dear Lizzy's Serendipity line and used them to make this layout. 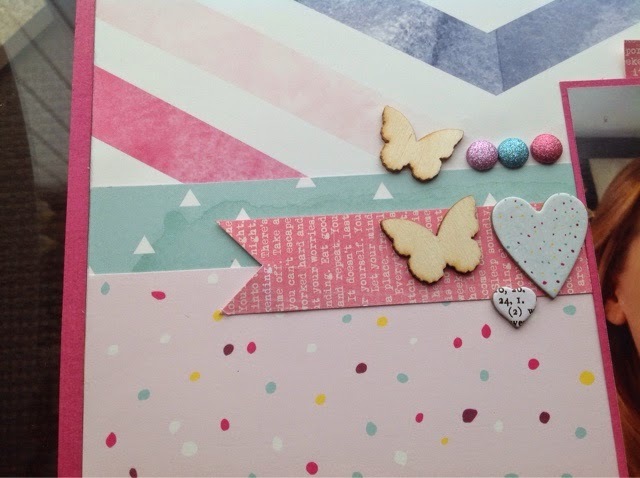 I also used the Thickers from the same range along with some Studio Calico butterflies, a Heidi Swapp bow and a die cut from Pink Paislee. I added my brads along the top after admittedly nearly forgetting about them! 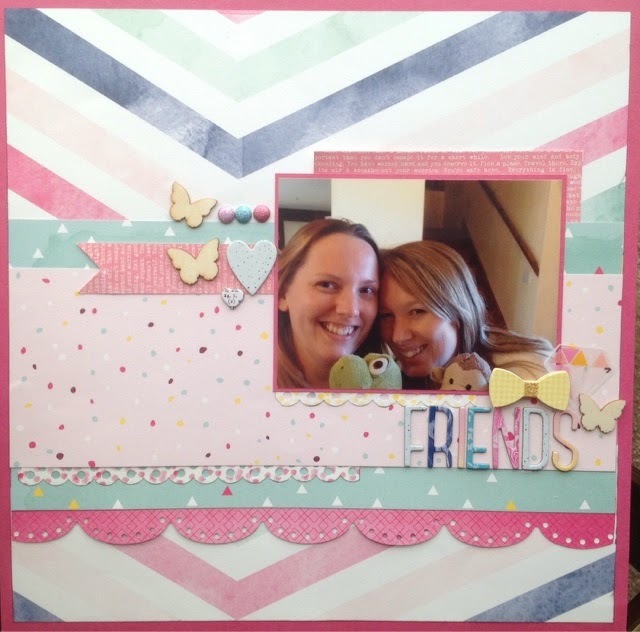 Such a lovely page and you need to add your blog journaling to it somewhere x I love the colour spectrum your using at the moment. Really feels like Spring! 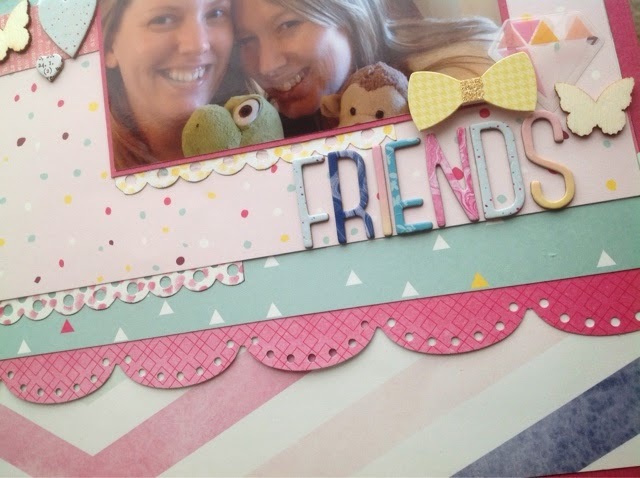 A very sweet page - those papers are perfect for your photo!